Happy New Year! 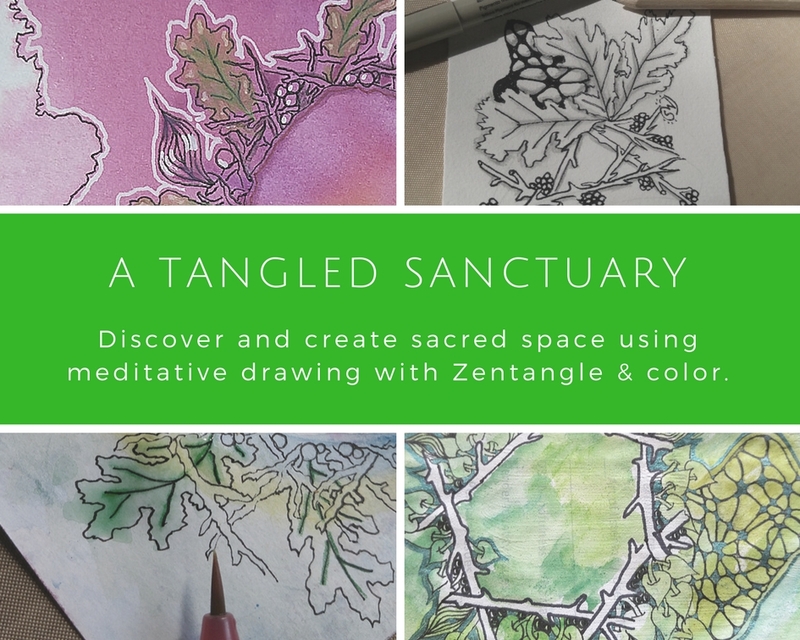 It’s been a busy time for us since we last posted, so I thought I’d start the new year off with some new tangles…. I love looking for and at patterns everywhere in my world, real and virtual. I have a habit of saving patterns and photos I find inspiring on Pinterest, or snapping photos of patterns I see in store windows, architecture, nature, etc. Yesterday I came across a textile pattern on Pinterest, and after looking for ways to simulate it as a tangle, it morphed into this…. It starts with an inverted Y shape, then you can connect the mid sections of the branches with two concave strokes that form a point in between each branch. It helps to turn your work as you go around. Then connect the tops of the branches with two convex strokes or bumps. I like to darken one of the three inside sections. The moment you shade the outer sections it turns into these wonderful popcorn-y puffs! You can float them individually or layer them… or lay the Y shapes out in a staggered grid and fill/darken in between. 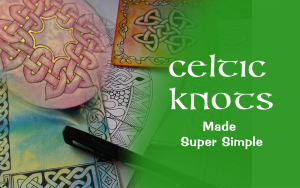 You could also connect them to branch or stem-like strokes for whimsical elements at the edge of your work, or even work them into a border! 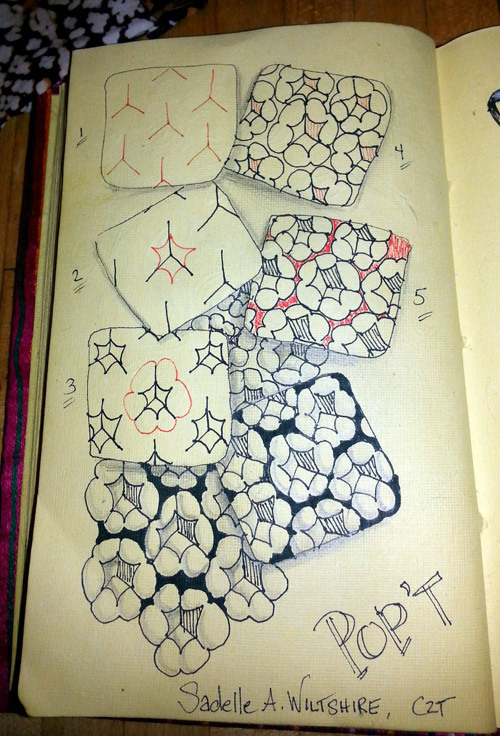 In the example below, I was playing with a drawing tutorial from Helen Williams’ new e-book on Flips, Folds and Ribbons... and threw some of Pop’t in as a background. I love how the shading and highlights transforms the whole piece! Try it out! And do post a link to your work if you do! By the way, if you haven’t seen an email blast from us in a while, it’s just that we’ve slowed our schedule down for January and February… but stay tuned for more fun! 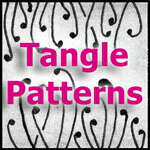 This entry was posted in Tangles, Zentangle® and tagged organic, tangle, textiles. Bookmark the permalink. Thanks, Helen! Love the book! Holly, sorry you’re having trouble with the step outs… were you able to click on the first picture to view the step outs larger? I do have step by steps in that first image, but it’s best viewed by clicking on the Pop’T image to see the larger version. If my step outs are still unclear let me know and I will work on a better set of step outs. I did click on the picture but it quickly flipped to the 2nd and then settled on your signature. It was hard for me to see what each step was it was gone so fast. I’d like to try it. It looks fun. Thanks. Looks great, Sadelle! Hmmmm, makes me hungry. I love your new pattern and also your book “Flips, Folds and Ribbons.” I just ordered the book and can’t wait to learn everything. Thank you for sharing! Thanks, Sharon, but I did not write that ebook… Helen Williams of A Little Lime did… ;-). I am, however, a big fan of her work and ordered the book as soon as it was out! Thank you this looks a very interesting design. So organic, really like Pop’T. Thanks. Thanks, Melissa! Nice to hear from you! Funny, I hadn’t thought about it as organic, but I guess it is! What a great tangle…thank you! And for the little lesson in shading as well. 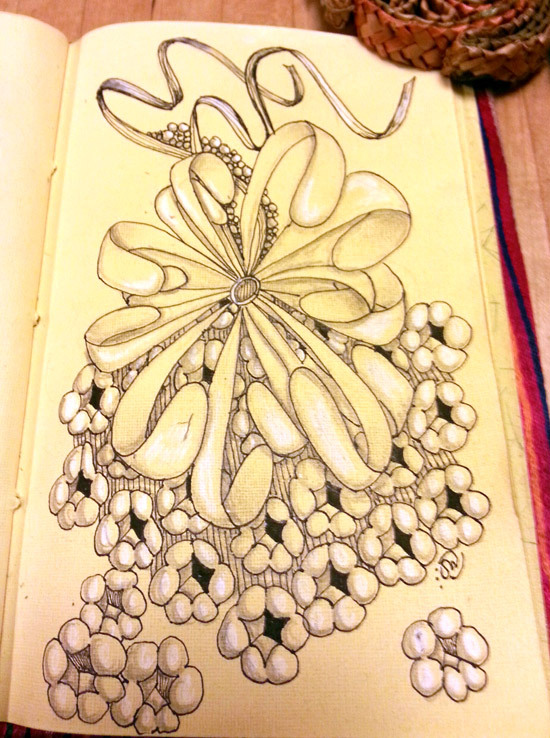 Also–I really like the sketchbook (size and paper color) you are using. I would like to get one if you don’t mind telling me what and where.